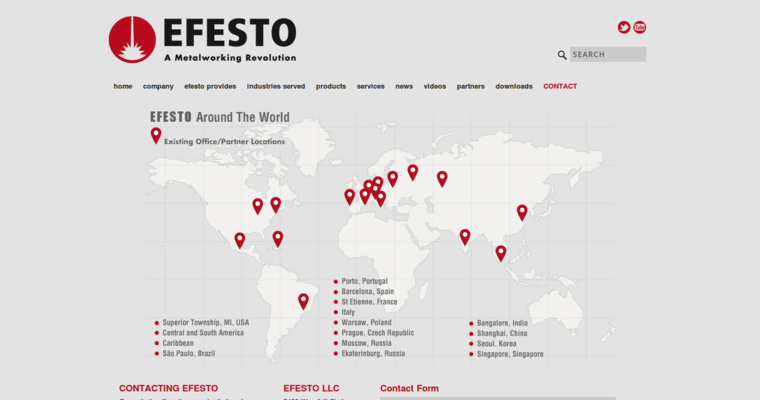 EFESTO is a business headquartered in Superior Township, Michigan. 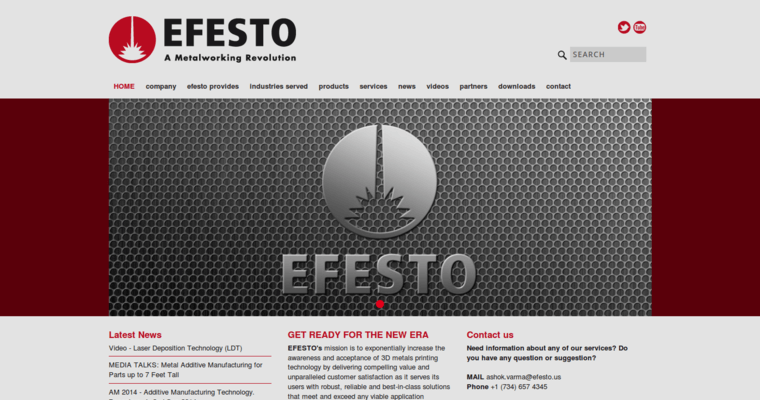 They are pioneers in the emerging field of 3D printing using metals and metal composites. Their name is taken from that of the Greek god for fire. The company seeks to promote 3D printing using metals and composites, and they offer a full line of services related to 3D printing using metals. Some of these services are: delivery and service for specific projects, contracts and warranties and LMD service centers. 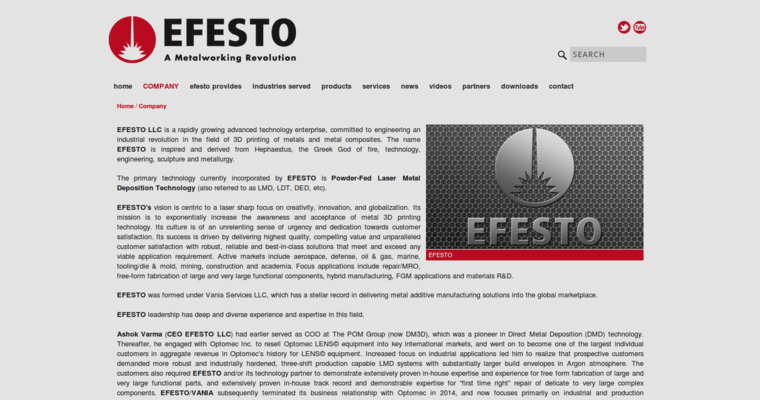 EFESTO promotes the of use power-fed laser metal desposition technology. They see emerging markets for this technology in aviation, defense, oil, academia and many other industries. They offer a full satisfaction guarantee for performance, support and equipment. The company's CEO is Ashok Varma, who formerly worked at the POM Group, an early leader in Direct Metal Depostion technology.